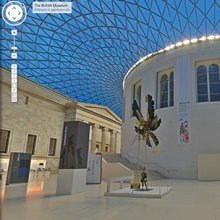 For your diaries the next years’ Seminar for Arabian Studies will take place at the British Museum from Friday 4th August to Sunday 6th August 2017. The Seminar for Arabian Studies is the only international forum that meets annually for the presentation of the latest academic research in the humanities on the Arabian Peninsula from the earliest times to the present day. The Proceedings of the Seminar for Arabian Studies are published the following year in time for the next Seminar. To celebrate the completion of Phase 2 of the Online Corpus of the Inscriptions of Ancient North Arabia in March 2017, the next Seminar for Arabian Studies will include a Special Session on "Languages, scripts and their uses in ancient North Arabia". Ancient Arabia had its own branch of the alphabet and almost certainly a greater proportion of its population could read and write than in any other part of the ancient world. This Special Session will explore the many different uses the inhabitants of ancient Arabia made of their literacy, the development of the various scripts which they employed, and what we can reconstruct of the languages they spoke.